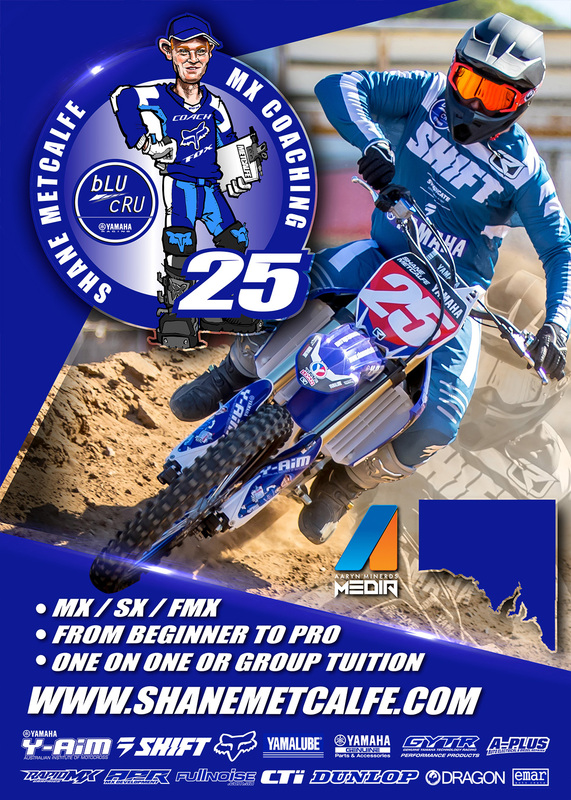 SM25 MX Coaching / YAIM & OFF-ROAD Rider Safety Training with over 30 years in the Industry, Retired Professional National MX/SX Racer, National Accredited Level 2 MX, FMX, SX Coach. Off-Road/Outback Rider Safety Training - "We come to you"
Tuition, Safety Tips & Tricks from the best in the business! IF YOU WANT TO BUILD YOUR CONFIDENCE AND RIDE SAFER OR IMPROVE YOUR RESULTS AND TAKE YOUR RACING TO THE NEXT LEVEL, THEN ONE OF OUR COURSES ARE FOR YOU! GYTR YJR (Yamaha Junior Racing) Team Manager for Yamaha Motor Australia. In 2019 I have aboard two young guns, Alex Larwood (YZ125/250F) & Wil Carpenter (YZ65/85). Congratulations to our SA YJR young gun Alex Larwood on his success in 2018. 2 x Aust. Junior Championships (13-15 Yrs 125 & 250)!